Give me some failure! | Be Nice. One of the biggest gripes I have about education today is its emphasis on tests and grades. Oddly enough, as a teacher I relied heavily on grading. As a student, I was motivated by grades. I was “good” at school – I could get the A, I could write the essay, pass the test, apply the formula, memorize the historical dates. But most of the time I didn’t retain the knowledge on which I was tested. Worse yet, I didn’t see how much of this knowledge was applicable to my life. Lucky for me, my family raised me to have a healthy concern for my character. My mother taught me to reflect on my choices and actions – how they influenced others, how they affected my reputation and my self-image. I learned to understand my feelings, to gain insight into the actions of others, and try to adjust to them. I believe this has made me a stronger person. But in our society, grades typically win out over “character.” We base college admissions, hiring, and scholarship awards on it. In the end, grades just seem easier to judge than something as malleable as character. And in turn, these rewards encourage a focus on grades rather than an emphasis on a process of experience-based learning and growth. As I read a post by Siobhan Curious called “Fail Better” today, her students’ stories sounded all-too-familiar. Before graduate school, I wanted to get the grade. Don’t get me wrong – I worked hard. But the recognition for my hard work is what I wanted. I did not see much past that. I didn’t take risks because that would bring potential failure and I thought I had too much to lose. I wanted to please my teachers, to achieve the G.P.A. that would guarantee scholarships, college admission, and praise. Even now, I regularly ask questions at my job trying to ensure I don’t make mistakes. While sometimes this is admirable, it can also distract from the equally useful process of critical decision making. My actions become deferential – I don’t learn to rely on my own knowledge or judgment. I rely on others. My actions don’t support my decision-making ability. Often my actions undermine my independence. Over time, I have tied error-free achievement to my sense of self-worth; my self-confidence depends on the recognition I receive from others. I have perfected the art of mistake-avoidance, serving up a steady dose of self-abuse whenever I don’t excel or do something well. This is not a recipe for self-satisfaction. It’s a prescription for ever-present self-sabotage. Though I learned from my social failures and from my family’s ups and downs, I didn’t learn from failure in school or in my passions. As an artist I have had to learn how to circumvent my perfectionism and desire for praise and allow myself to make mistakes and to learn from them. I have learned to push through my inability to move forward when I fear failure most. I try not to focus on blame or regret when I do fail. I don’t let myself wallow for too long before I move on. I respect my choices (even though they didn’t work) and try to decide how I could do better in the future. This new approach is painful. Difficult. It is lonely. I am learning to verbalize praise to myself – instead of expecting it from others. But learning to fail, to take chances, and to trust my inner voice is an exciting place to be. Because every time I feel like I’ve fallen backward, I can also see myself moving forward. 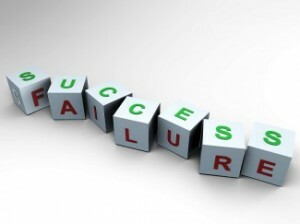 With this in mind, I would challenge you to read this article (cited in Siobhan’s blog post): What if the Secret to Success is Failure? by Paul Tough. How could you apply its ideas in your life? Would this be an approach you would like to see in education? Do you wish you were taught as a child using this method? What kinds of character do you have – tenacity? Generosity? Empathy? Perseverance? It is a great read – I hope you’ll take the time to check it out! This entry was posted in Perspectives on Be Nice. and tagged education, failure, Paul Tough, self-sabotage, Success by Jen. Bookmark the permalink.